Woeishi Lean is a digital artist who produces computational media at a the intersection of design, technology and realtime visualizations. Bridging his time between large-scale media installations, lecturing and holding workshops, and enthusiast’s ventures he has been able to sustain a truly interdisciplinary career. Through his practice he has always been heavily contributing to the live-programming environment VVVV. 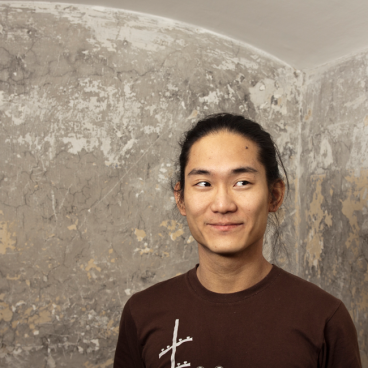 Starting off as a VJ, then diving into interactivity for some years at the Ars Electronica Futurelab, woei is now trotting the globe creating performances and installations. The site-specific installation RingGingBling (Prague, Moscow, Vienna), Realtime music visualization mapping in the Walt Disney Concert Hall (Los Angeles), the Austrian Pavilion for the 2010 Shangai Expo, Realtime music visualization mapping of the Arc de Triomf (Barcelona), interactive kinetic sculpture nemore (Leipzig, Vienna, Salzburg),… to name a few.